Mr. Sudipto Mukherjee has a rich and versatile experience of over 13 years in the hospitality industry. 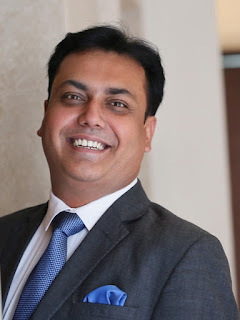 He has worked with Novotel Hyderabad Convention Centre,Ellaa Hotels and Lindsay Hotel Kolkata in various leadership roles and has handled various portfolios ranging from marketing, sales, business management, revenue management and operations. A seasoned hotelier, Sudipto is an expert in multiple disciplines, including revenue analysis, pre-opening hotel management, sales, marketing and accounting. He is a go-getter and brings a determined focus on business, relationships and repute to the table through his leadership qualities, adaptability and communication skills.